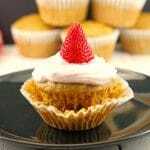 You are here: Home / Recipes / Breakfast and Brunch Recipes / Strawberry Gingerbread Pupcakes: Healthy Cupcakes for Breakfast! 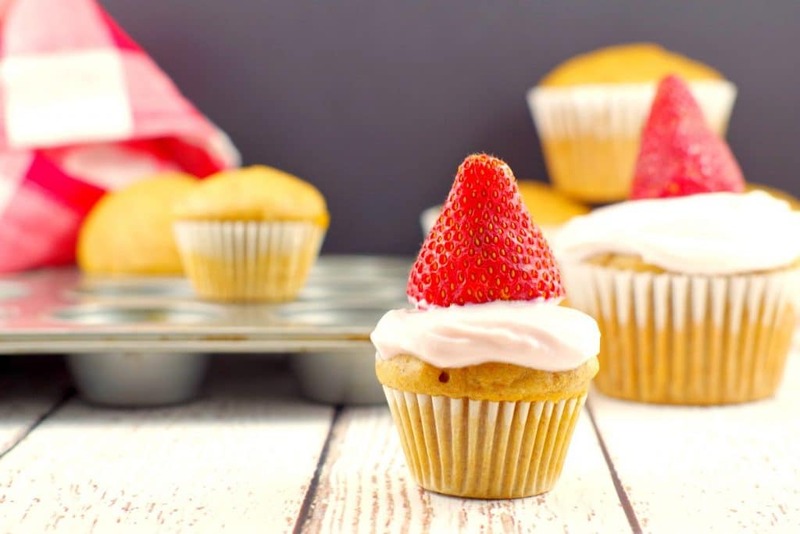 If you are looking for fun and healthy breakfast ideas for kids, this Strawberry Gingerbread Pupcake (cupcake pancake hybrid) recipe takes a boring old pancake and morphs it into a delicious and healthy breakfast cupcake which is by far, way more FUN! Even better, it’s easy and quick to make. 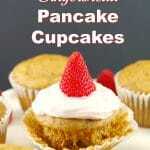 Although I love these pupcakes, I created this recipe with kids in mind. It’s hard to come up with fun breakfast ideas for kids that are also healthy. I’m happy to report it was a success! 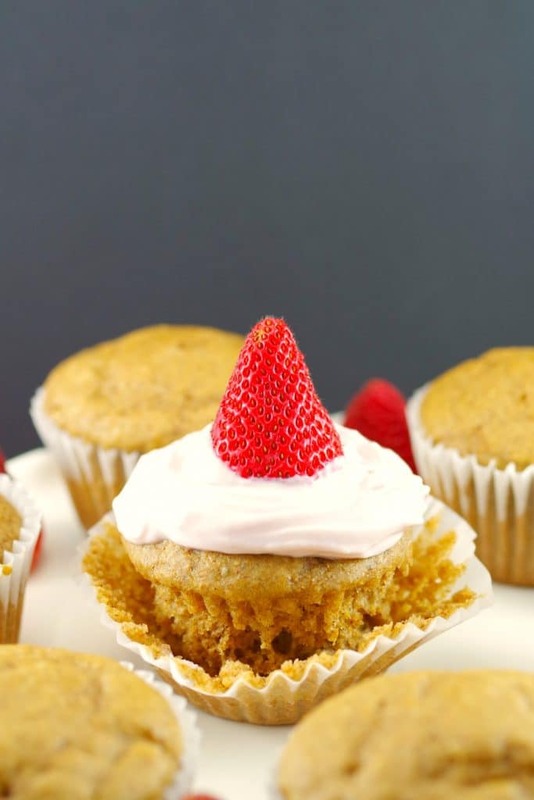 Hello healthy Cupcakes for Breakfast – the Gingerbread Pupcake! And if you are in need of a healthy breakfast on the go, something you can send in the lunch box to school with the kids (or take yourself), then this pancake cupcake recipe is for you. You can pack the yogurt and syrup separately or just skip it all together (it’s great with or without)! Added bonus: they freeze well. 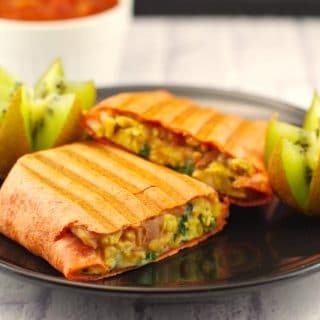 And if you are looking for more healthy on-the-go breakfast ideas that are also kid-friendly, give my Healthy Mediterranean Breakfast Burritos a try! Or search breakfast in the search box or in recipes menu. Healthy Cupcakes for breakfast! 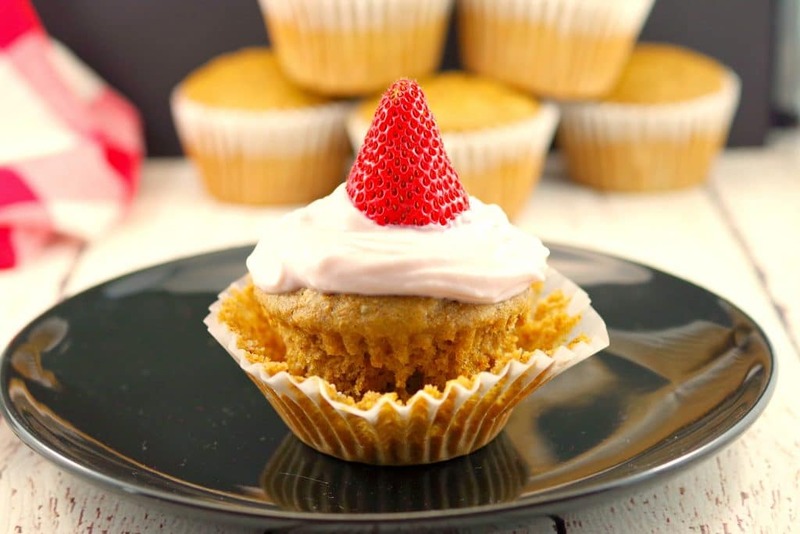 This breakfast gingerbread pupcake is a kid-friendly pancake cupcake hybrid recipe with strawberry Greek yogurt topping that is both healthy and fun! Mix all ingredient (except greek yogurt ) together. Pour batter 2/3 full into muffin tin lined with paper cups. 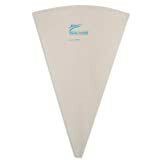 Fit pastry bag with 1M tip and fill to ½ full with greek yogurt. ***See video in notes, if you're not sure how to pipe with a 1M tip. And use the 2nd technique - the 'rose swirl'. NOTE: If you're not sure how to pipe the topping on to the pupcake, check out this video: How to frost a cupcake with a 1M tip * Use the second one (the rose swirl). Keep in mind that the Greek yogurt is runnier than the icing, so it won't be as firm of a swirl (compared to using icing). NOTE: You can make 12 regular sized pupcakes, then use the remaining batter to make mini pupcakes. Or it makes approximately 40 mini pupcakes. This post is part of Creative Kids Tasty Tuesday’s link up! You are full of creative ideas! I am thinking this would definitely get kids to eat breakfast. Thanks, Sue! Yes, the kids really loved it! I know, hey? Easy to convince the kidlets to eat breakfast on that day! Thanks! 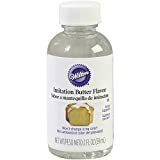 Yes, they don’t want to eat plain pancakes now! What an adorable and creative idea! They sound delicious, too. Pupcakes! Ha! I love it. These sound delicious, that strawberry greek yogurt topping? YUM!